As you already know how to create a blog using blogger. Here in this Chapter, you are going to learn how to adjust the primary and basic Settings in the Blogger. For newbie bloggers it may be confusing on how to setup a blog, What are the settings to be made. This quick tutorial lets you set up your Blog Title, Blog Description and Meta Description and the basic first and foremost adjustments you should make to your blog in just a few minutes! Log in to your blogger.com using your Google Account. 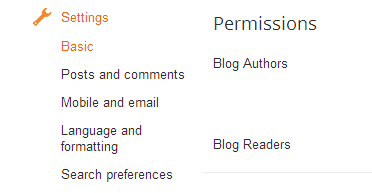 Go to Blogger Dashboard you will find an option called Settings. Now get into the Settings you have these Tabs. Go to Basic Settings Tab and Change the Title and add a short detail about your blog in the Description. Privacy Settings is for the blog to get indexed in the Search Engines. Choose options under privacy to ‘Yes’ if they are not or else let it be. In the Blog Address, enter the address of your blog i.e, entering the URL in the Address bar so that traffic will be redirected to your blog. In the Posts Section From Show at most option, you can choose how many posts you want to show up in your Main page. Set the number of posts you want to show on the main page. In the Comment Section choose the comment location to embeded option, and who can Comment to the Registered User so that only registered users can comment on your blog. 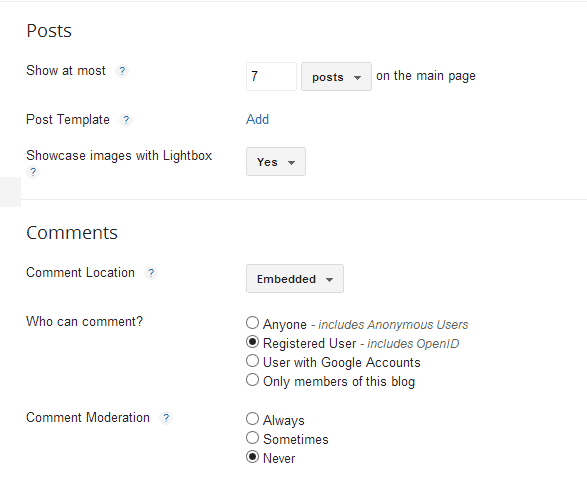 Change the Comment Moderation to Always and give the email id to which you want to get notified if anyone comments on your blog. Let the other options in the posts and Comments Section remain the same. In the language section, choose the language in which you want to use your blogger and choose language transliteration as you like. 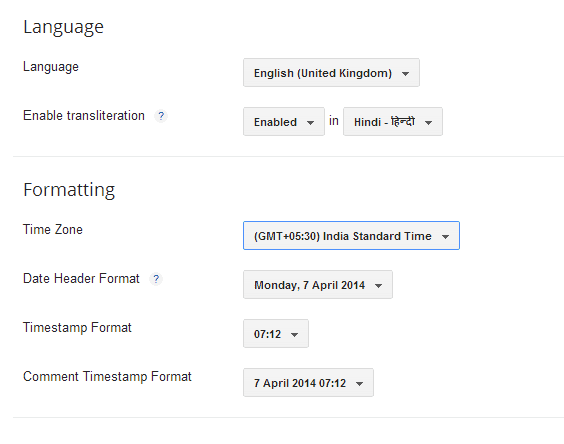 Metadata is the Description displayed in the Search Engine under your Website link as shown below. The Search Description should be given same as the description you gave in the Basic Settings. The Crawlers And Indexing section, Errors and redirections section will be explained in the further chapters. Right now the above settings are enough to start a new blog.